Discovery 3 and 4 4.0 Petrol V6 from 2004 to 2009, This is a Major Service kit of Quality Land Rover parts from Allmakes4x4 Premium Range, Which includes : branded Sump plug, Oil Filter Air Filter, Pollen Filter and Spark Plugs. 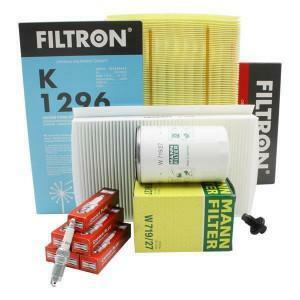 This service kit would require 5.7 Litres of Oil sold separately, for more details on this see related products below. All the Major components required to carry out a full Service on your Land Rover with over 50% savings compared to the main dealer.